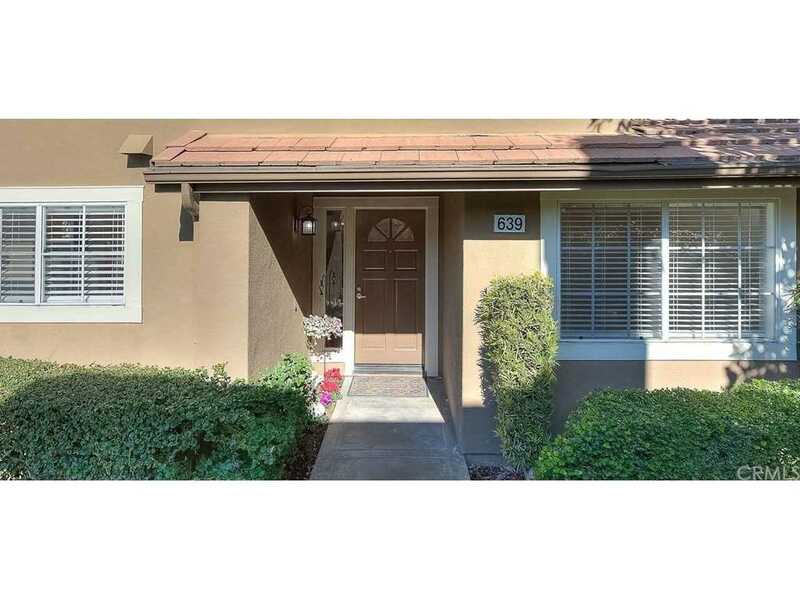 Stunning, light and bright, beautifully remodeled townhome nestled in the well manicured Laurelwood community. This 3 bedroom, 3 full bath home has 1615 sq ft of living space with a two car attached garage. The main floor includes one bedroom and bathroom, large living room and dining area. Upgrades include hardwood floors, new carpet, new paint, newer water heater, new AC, new light fixtures, new door and handles, new garage door opener, new dishwasher, new thermostat, new sinks and faucets, new blinds, and much more. Seller is original owner and has never smoked or had pets in the home. Only one neighbor with nice views of the greenbelt. Close to shopping center, parks, trails, and golf course. Easy access to 241 and 91 freeway. This home is IMMACULATE!!! You do not want to miss the opportunity to own this well cared for home. Directions:Exit Weir Canyon Rd head south, right onto South Serrano, right onto Canyon Creek, right onto Glenhurst, right onto E. Goldenrod, right onto S. Dewberry. SchoolsClick map icons below to view information for schools near 639 S Dewberry Lane Anaheim Hills, CA 92808. 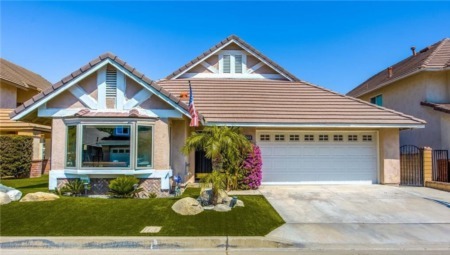 Listing provided courtesy of Leigh Apodaca, Coastal Estates Orange County.